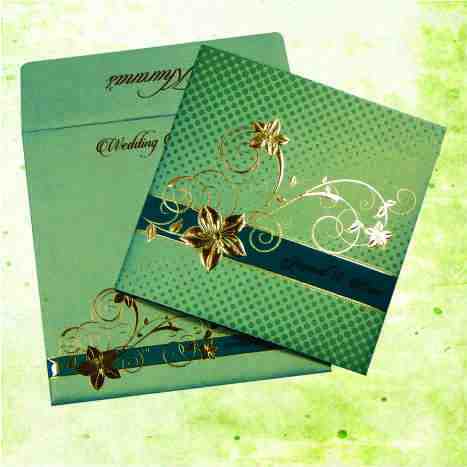 ENVELOPE : Box Type Envelope Made From White Color 250 gsm Shimmery Finish Paper with Matching Red Color Printing. MAIN CARD : Dark Red Color 300 gsm Satin Fabric Paper With Gold Color Printing. Main Card also printed with Bride & Groom Names in Middle Window and Decorated With Rhinestones/Kundans. This card opens like Scroll Invite.